This information is not meant to alarm you but to inform you. The number of patients with kidney failure is increasing. It is important to remember that while the progression of kidney disease usually cannot be reversed, it can be slowed. 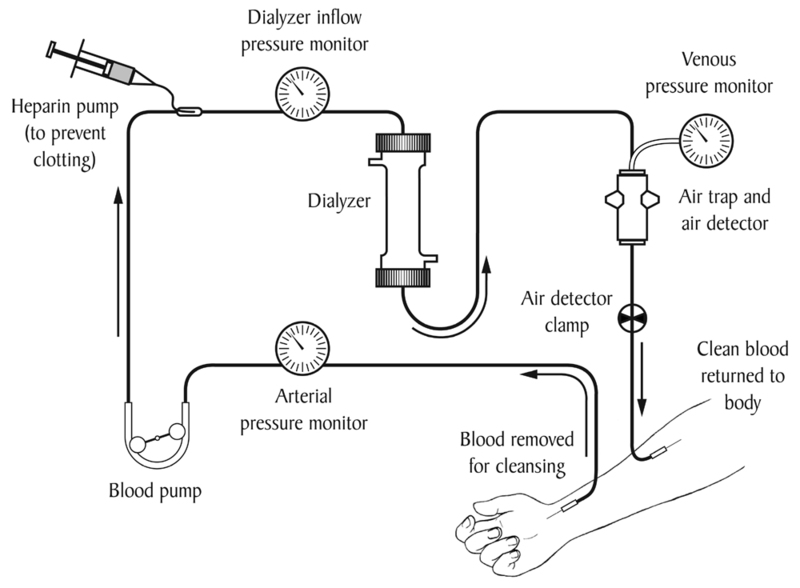 Two leading causes of kidney failure leading to the need for dialysis are diabetes and high blood pressure (hypertension). Intensive control of diabetes and high blood pressure can prevent or delay the onset of kidney failure. Loss of appetite, nausea or vomiting. Swelling or numbness of hands and feet. Elevated blood Creatinine (1.5 or higher). Elevated blood urea nitrogen (BUN) > 20 mg/dl. If urine makes foam in the toilet. Blood in the urine (rust or tea-colored urine). If you are a diabetic, watch your blood sugar carefully and keep it under control. Keep your blood pressue under control through the use of hypertensive medications prescribed and monitored by your family physician. Improve your diet - lower saturated fat, cholesterol and salt. Some people must further change their diets to lower protein, sugar, potassium and phosphorus. Seeing a Nephrologist (a doctor who specializes in kidney disease) regularly, in addition to regular visits to your family physician is of vital importance in the management and control of your kidney disease. At Hershey Kidney Specialists, Inc. (HKSI) our Nephrologists and nurse practioner are dedicated to providing specialized care in the medical management of your disease. Drs. Diamond, Bell, Vaddineni, and Shah collectively have more than 40 years experience in treating patients with kidney disease and hypertension.